Short break stays from £40 per night. During the summer holidays £100 deposit required which will count towards the final price. This 2 bedroom Comfortable Caravan has a double bedroom, a second bedroom with two single beds and a double pull out bed in living room. Very spacious, gas fire, electric heaters. Modern kitchen/dining area. Bathroom with toilet and shower, separate WC and basin. The caravan has been upgraded with new flooring laid at the end of 2018. Golden Gate site is a well established popular site for families and couples. Near to all the amenities Towyn has to offer and only 2 minutes walk from the fantastic beach. The site has a club, take away, laundrette, shop, hairdressers and children's play areas in and outdoor. Its access to the beach is wonderful and there is a local park close by. Access to the A55 is only minutes away with the rest of North Wales to explore. From March 2019 the site will have its own pool. The caravan has two TV's and a 2 DVD players. You will need to bring your own bedding and towels. Electric blankets are available for in the colder, winter months. Goldengate has Kloud Wi-fi which can be paid for on site. A deposit will be required to secure booking. This will then be deducted from the total amount due. If your interested or want more information please contact me and leave a message I'll get back to you as soon as possible. Thanks. Please Note. As of 25 July 2014. Keys must be picked up and dropped off at the site office. Check in after 2pm, check out at 10.00am. If you need to check in at any other times this MUST be arranged in plenty of time before your stay. Additional Info: Shop, children's play area, club house, chippy and laundrette. March 2019 new swimming pool on site. We had an Excellent weekend stay, caravan was fully equipped and well furnished. Could not have asked for more, real credit to the owners, would certainly book again and will recommend to family and friends. Thank you. Thank you so much for the review. Glad you had a nice time. This is the first time we have stayed in your lovely caravan, everything provided was great. Great space for our dog as it was fenced off. Not far from the beach and other amenities. We have had a relaxing time. We will be booking again for next year. Highly recommended. Thank you for a lovely stay. Thank you so much glad you had a nice time. We have just arrived back from a long weekend break and had a lovely time. The caravan was fantastic, spacious, modern,clean, equipped with everything and more that we could have needed. We will be looking to book again later on in the year. Highly recommended. Thank you so much, glad you had a good time. We have stayed in this van several times over the last couple of years & have always found owner, Andrea, to be very accommodating. The van & the site are ideally situated. 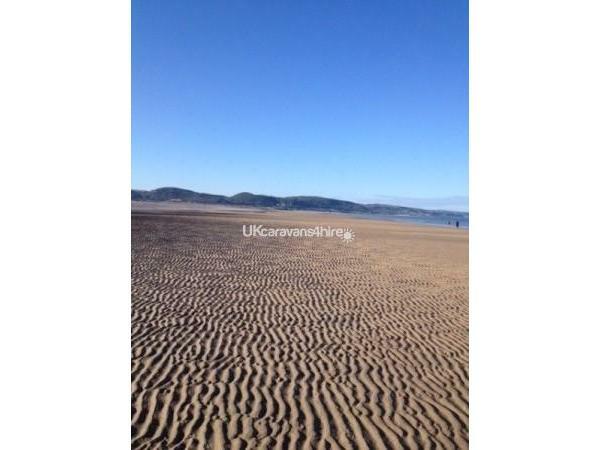 The beach is on your doorstep & Towyn Rhyl, Abergele & Llandudno are easily to get to. Our 2 little yorkies love their hols here (fenced off garden is ideal) We've already booked for May 2016 & will, no doubt, book another stay later on in the year.